With most of the headlines surrounding BlackBerry less than positive these days, it almost feels in vogue to give us loyal BlackBerry users a hard time. It's even to the point where I get ridiculed by my iOS and Android using friends for sticking with my BlackBerry. Sure, I have tried and own other devices as well, but they rarely leave the house with me and quite often if I am out and about you may well find me carrying two BlackBerry smartphones. I like a back up, just in case of an emergency! Here in the UK things are a little different to in North America as the BlackBerry has been the best selling smartphone for the last couple of years and long may that continue. This is partly due to price. You can pick up a BlackBerry Curve here for £130 and BIS is only £5 per month which can't really be beaten in terms of value for money. BBM is obviously what gets the youngsters addicted. With many of my Twitter friends being in the USA I quite often get mocked about why I am still using a BlackBerry when Android, iOS and Windows Phone have "so much more to offer". The question I ask myself is do they? The most important thing for me when it comes to using a smartphone is communication and that is where I strongly believe you can't beat the BlackBerry. Knocking out an email, tweet or Facebook message on the BlackBerry takes seconds and I haven't found another OS that can offer me that ease of use and simplistic management. Clearly the hardware QWERTY keyboard has its advantages, although we will have a new 'super option' later in the year via the BlackBerry 10 touchscreen keyboard. I have owned an iPhone 4, various Android devices and also the HTC Radar (which I do carry from time to time), but when I want to communicate quickly and efficiently I can always rely on my trusty BlackBerry. iPhone and Android users are quick to criticize us on Team BlackBerry due to the restricted apps we have on the current platform. Does that bother me? No, not in the slightest. If I want to play games I have my PlayBook or iPod Touch so I am not really missing out. 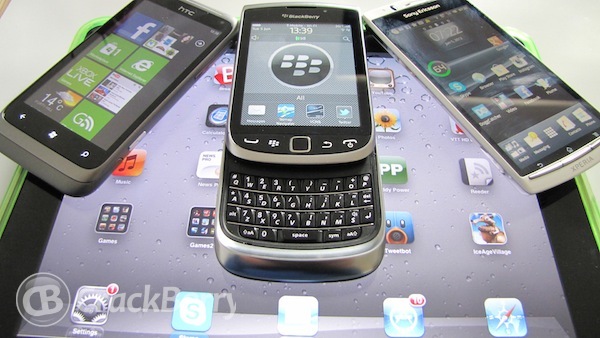 In terms of productivity applications the BlackBerry has a wonderful selection to choose from and with many now being BBM connected sharing information with fellow BlackBerry users is just a click away. From using a BlackBerry as a business tool I am forever getting compliments from customers that cannot believe how quickly I respond to email queries. That is the CrackBerry addiction kicking into full effect, as when that LED flashes and I get my email notification tone I respond instantly without fail. I quite often pull over the car to reply to an email (yes, a bit sad I know) but in terms of customer service this goes down well and people appreciate a quick and reliable response. 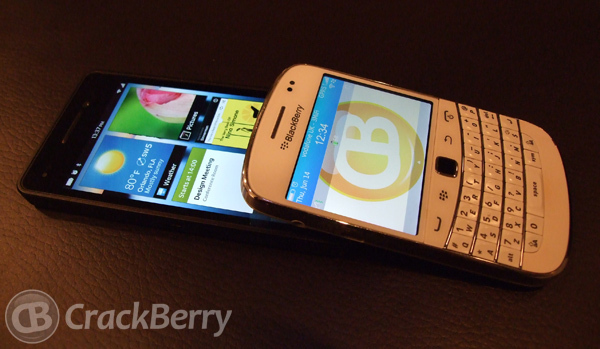 So what does the future hold for BlackBerry 10 in my opinion? After going hands on with BlackBerry 10 last week at the BlackBerry 10 Jam event in London, it's clear I'm going to be able use my BlackBerry the same as I always have done, yet with the added bonus of having a bigger touch screen and better application support. The days of "well you can't play Angry Birds on your BlackBerry" will be long gone and if RIM can get through the next couple of financial quarters I am more than confident that BlackBerry 10 will be a huge success. As Kevin has said, RIM are not looking to overtake iOS and Android, however looking at the CrackBerry forums it is encouraging to see how many people that have left BlackBerry for Android are now looking forward to coming back to Team BlackBerry. Surely that means that Android is far from perfect? So while I will never criticize others for choosing their OS of choice (as we are all different) what I would like to say to the BlackBerry haters is just be patient, as I am pretty sure you will be impressed with the new generation of RIM. It may be some months off but good things come to those who wait.